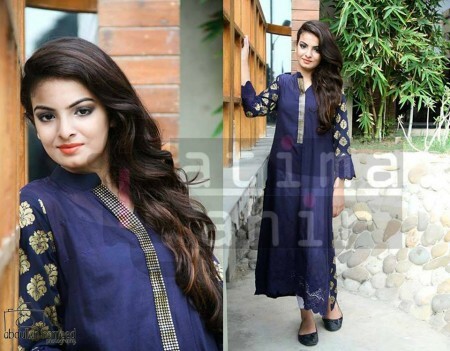 Fatima Tahir is experienced and talented fashion designer, who has already been initiated various dress collections on number of occasions. Now this fashion designer has started the chic and fashionable dress collections 2013 for women. She has proved her abilities in short period and now she launched midsummer women collection 2013, which consists of the dresses and long shirts with trousers and churidar pajamas. 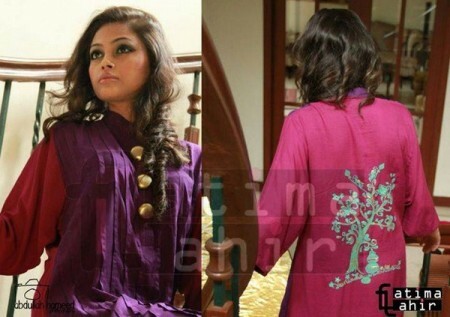 Fatima Tahir midsummer women collection 2013 is released ion the market with the objective to provide quality of dresses to the women. She designed the dresses with different combination and these dresses are great for the formal, semi formal wear & the dresses are great for ready to wear dresses. 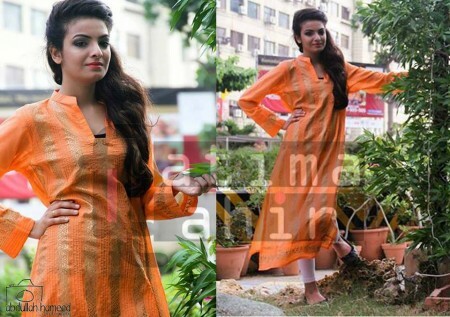 The long shirts placed in the fashion collection of the fashion brand are looked good and pretty while using with the churidar pajamas. 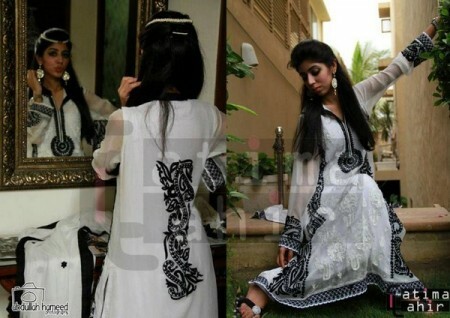 The embroidery work being carried out on the front, borders and on the sleeves as well as on the backside of the shirts adds beauty in the dresses. The use of bright and decent colors in the dresses make them unique and choice number one of every young woman and girl. You can see the whole collection of the dresses in the pictures added with this post. You will surely like these dresses as they are found in the soft and light colors. The email address of the fashion brand is also mentioned in the fan page of the face book and you can make contact with the fashion brand to ask questions, which are creeping in your mind.